Kids LOVE this recipe. 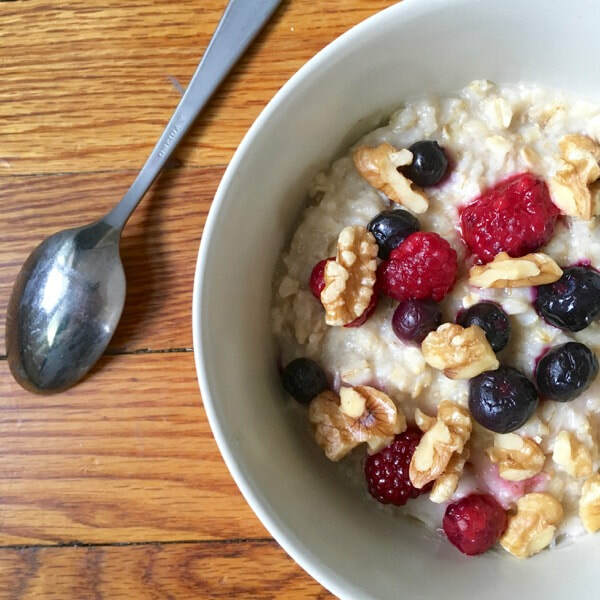 The berries make this recipe delicious, plus its super fun to watch the oatmeal change colors when the berries thaw! Microwave according to oatmeal package instructions. Add in mixed berries and almond extract. Top with nuts and enjoy!